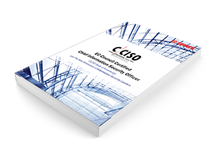 Learn more about the CCISO Scheme Committee. The EC-Council CISO Program is made up of the CCISO Certification, our CISO Events, the CISO Awards Program, and our CISO Community Resources. CCISO CertificationThe CCISO Certification is an industry-leading program that recognizes the real-world experience necessary to succeed at the highest executive levels of information security. Bringing together all the components required for a C-Level positions, the CCISO program combines audit management, governance, IS controls, human capital management, strategic program development, and the financial expertise vital to leading a highly successful IS program. Come read the white papers our executive community has written and learn more about contributing to the EC-Council Community. White papers available for download! We bring together the best and brightest of the information security leaders via our certification program, our free educational resources, and our highly successful CISO events in order to advance the cause of information security. Learn more about attending our CISO Summits and Global CISO Forums. Are you ready to apply for the CCISO Certification?